Suez Canal university’s disciplinary board ruled to dismiss her from her position after videos of her belly dancing in her house went viral on Facebook. 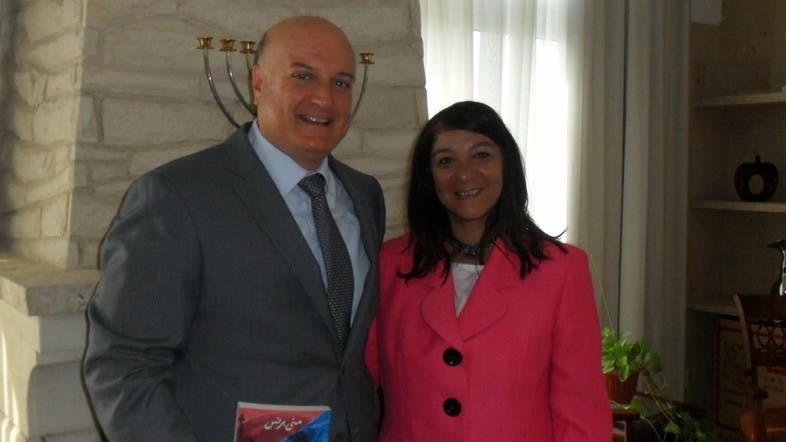 Dr. Mona Prince, a former English literature professor at Suez Canal University who was fired over widespread videos for her belly dancing, faces new another round of criticism over a photo of her with the Israeli ambassador to Cairo. On her Facebook page, Prince posted a photo for her with the Israeli ambassador in Cairo, David Govrin on Monday, while giving him her new novel. This angered many on social media who accused her of crossing the line, seeking attention and fame. Dr. Sayed al-Sharqawi, President of the Suez University, announced last June that Prince, a professor with the university’s English Department under its faculty of the arts, was dismissed from her job while retaining her pension. The university’s disciplinary board ruled to dismiss her from her position after videos of her belly dancing in her house went viral on Facebook.